HarvestTECHX provides an essential and independent platform to showcase new innovations and operating practices suited to our North American harvesting operations. The conference team at Innovatek, Logging & Sawmilling Journal and TimberWest are pleased to announce their newest industry conference for leading loggers and forest managers for 2019. 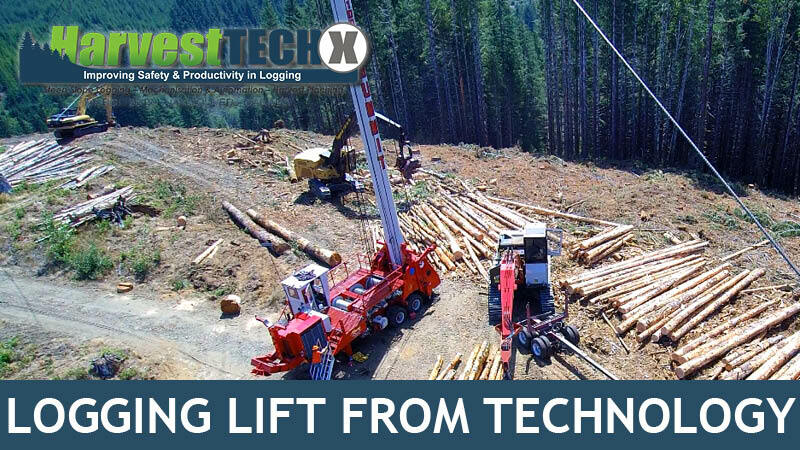 Formerly called the Steep Slope Logging Conference, the new name – HarvestTECHx – covers all machined based forestry and logging operations for west coast operations in North America. The conference theme for 2019 is “Smarter Logging Automation & Technologies”. HarvestTECHx 2019 is scheduled for 12-13 March 2019 at the Sheraton Vancouver Airport Hotel in Richmond, Vancouver, Canada. This conference will be highlighting how automation and technology are advancing operational safety and productivity for operators, contractors and foresters within the North America’s forest industry. Keynote presentations on key paradigm shifts to logging and forestry technologies. Experts detailing key development, technologies, issues and new opportunities impacting the sector. This will include a full line-up of award winning technologies, innovative new platforms, exciting application and early adopters. Technology start-up entrepreneurs discussing how best to connect and collaborate with early adopters and other operators. Case studies by passionate early adopters highlight how they have integrated technology in their business. A panel of young leading loggers to outline what they would like to see next in technology and future equipment trends. Short, sharp updates on commercial services and innovative products for loggers and forest managers. Speakers are allowed 5 minutes each to get their message across. Sponsored by WorkSafeBC and BC Forest Safety, this one day workshop will provide the latest information on the safe operation of winch assist logging equipment. Trainers will include international experts that will share their experiences from New Zealand and the United States. The workshop will include presentations and in-the-field sessions with winch assist equipment at the UBC Research Forest in Maple Ridge. Full day Full day field tour and workshop focussing on winch-assist operations. Sponsored by Worksafe BC and Hosted by the BC Forest Safety Council at UBC Malcolm Knapp Research Forest. Accommodation: Special Steep Slope Logging 2017 room rates are available to delegates at the Red Lion Hotel Kelso/Longview. Please state you are attending the Steep Slope Logging 2017 conference when booking. Contact Innovatek for the code to get special accommodation rates. HarvestTECHx 2019 offers a tremendous opportunity for companies involved in forest harvesting and management to maximize their exposure to North American forestry companies. Be part of another major event for this regions forestry sector. Exhibition spaces are always at a premium and Innovatek has a well-deserved reputation of providing both sponsors and exhibitors with a unique platform for promoting their products and services to the industry. For a full range of sponsorship options and benefits please contact John Stulen at Innovatek. 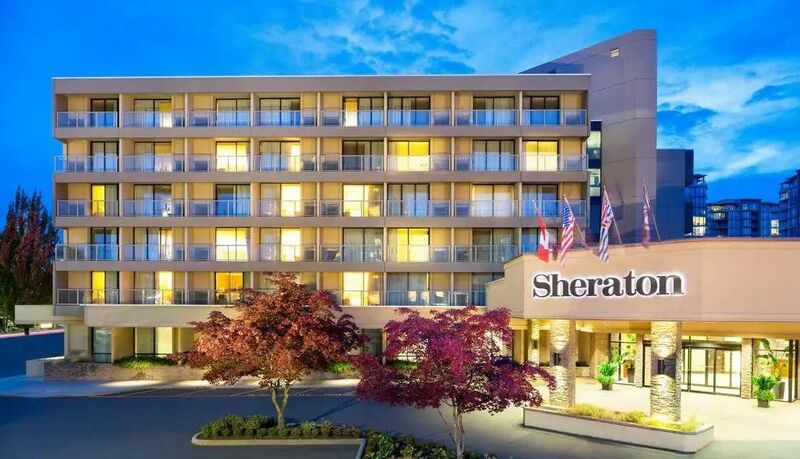 The Sheraton Vancouver Airport Hotel offers guests the best of many worlds—the luxury of an upscale experience just 7 km from Vancouver International Airport, the convenience of being situated near Richmond’s many business districts and accessibility to Vancouver. Accommodation: Special room rates will be available to conference delegates. Details for accessing these rates will be included in your confirmation email once your registration has been confirmed. Innovatek specialises in connecting and supporting businesses with the latest intelligence, technologies and innovations best suited to their operations. Innovatek also produces Australasia’s two leading newsletters for the forest products industry, Friday Offcuts and WoodWeek.